Curved laminated glass is produced by permanently bonding two or more layers of bent glass together with an interlayer. The interlayer acts to hold the glass together in the event of a breakage, therefore the glass will tend to adhere to the interlayer and not fall apart. 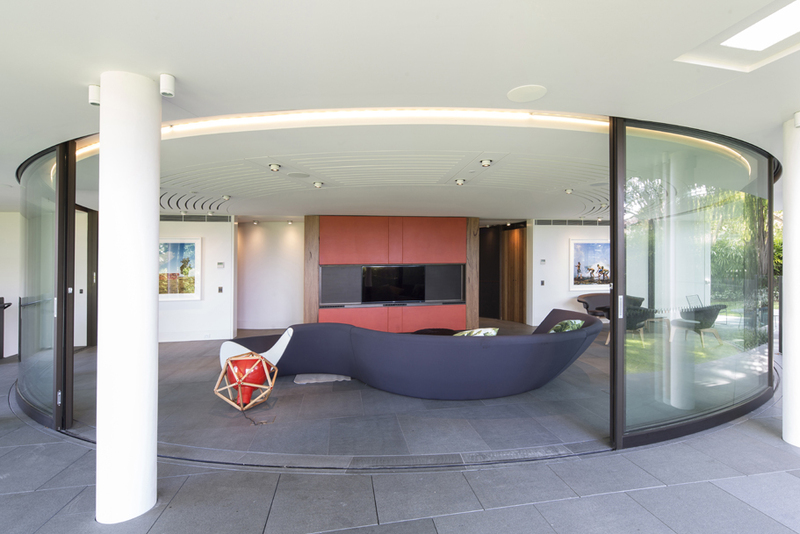 Laminated curved glass can be made up of any combination of glass types, such as insulated units for increased thermal and solar performance, acoustic and decorative applications. 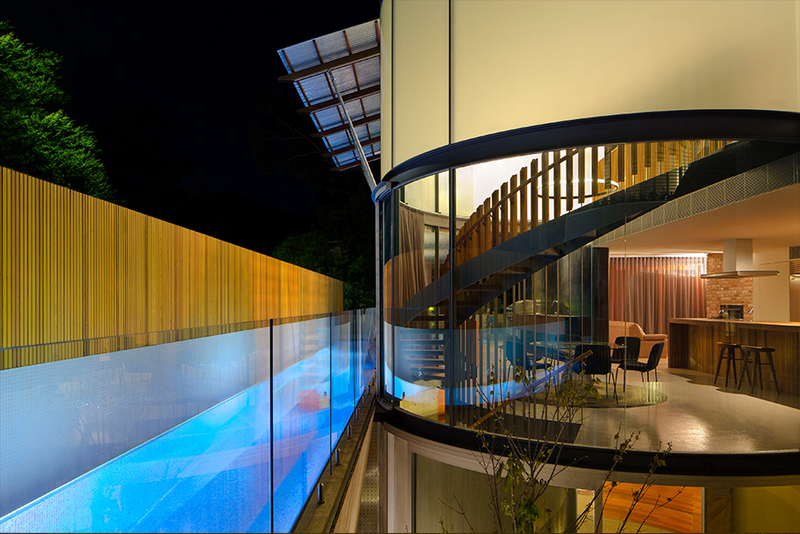 Curved laminated glass is custom made for each project and as such can be produced to meet a variety of designs; whether this is a complex curve with flat tangents or a straight forward cylindrical curve. The viability of a piece will depend on the combination of glass thickness, radius, length and depth of curve. Minimum radius will depend on glass thickness and angle of curve. 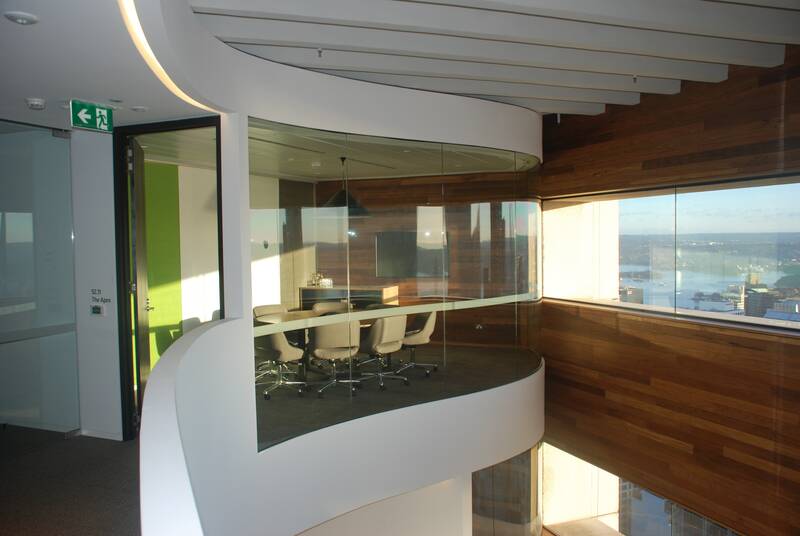 12.76mm clear laminated curved glass fixed and sliding panels for study pods.